from perfection to more perfection. 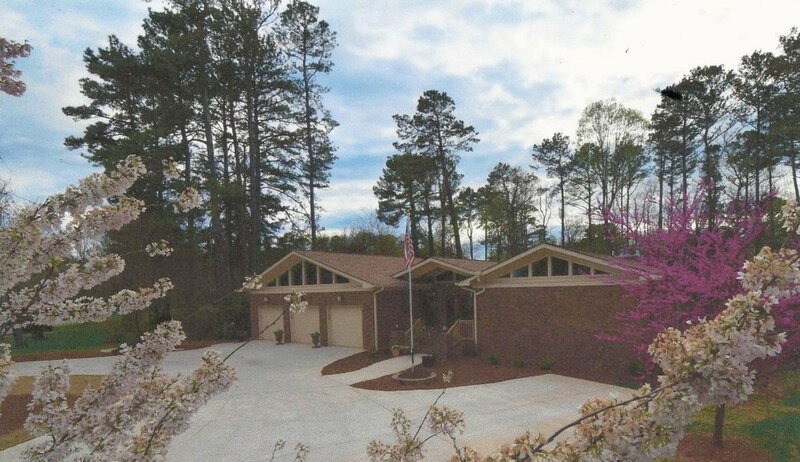 this little mid-century modern gem located in Smyrna, Georgia is perfect in every sense of design: circulation, form, use of light- except for one thing- there is not enough room. The client wishes to keep within the vein of the existing house, by using its form and landscape to guide the full house renovation and addition. 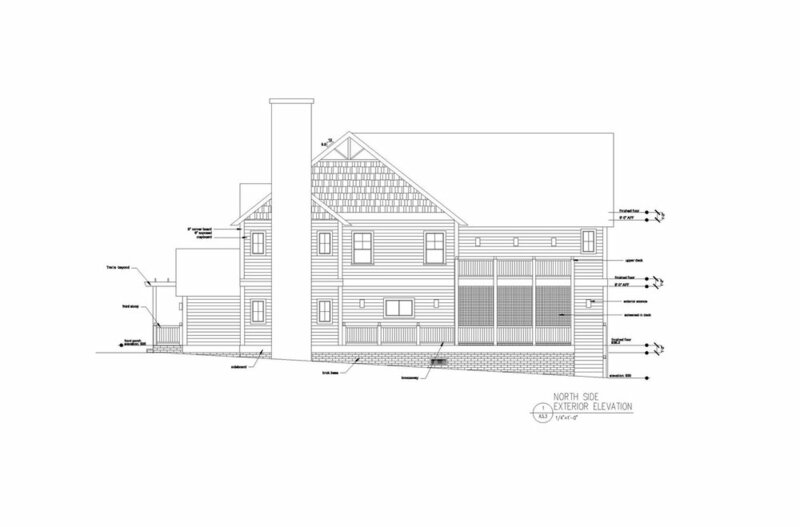 The final product will be a sunshine filled gourmet kitchen, a un to itself guest suite, plenty of out door deck and screened in porch space that connects the addition which will house a master suite and 2 bedrooms + a full bathroom, a laundry room and meditation area. 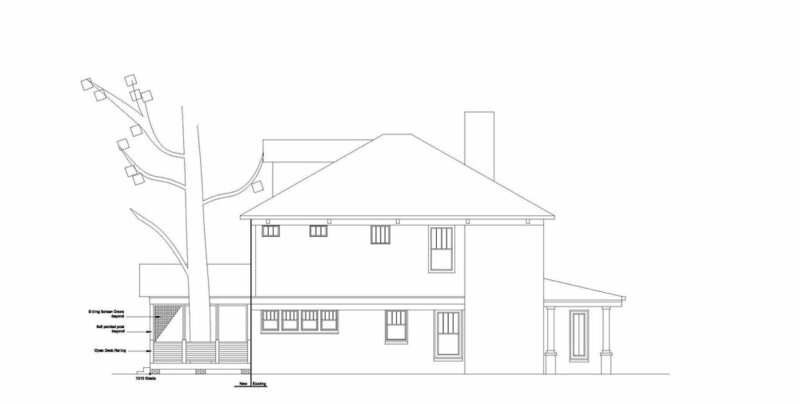 Forest Hill time capsule to elegant showcase…. This elegant yet quaint cottage style house in Smyrna, Georgia's Forest Hill's neighborhood has a special place in my heart. My husband and I use to drive by it on occasion and while doing so would admire its style ~simple yet graceful~ and think to ourselves... if we did not love our current house so much than this would be the one for us. Well skip forward a year or so and this home went on the market and then skip forward another 6 months and my studio receives a phone call from this home's new owner- requesting to consult with us on the home's design. As magical as that phone call was to receive it has been just as magical working with the home's new owners- and coming up with a design together that is just perfect for my client's next stage in life: children all grown-up, but wanting a house that will be close to where their children want to live and be and enough room for the possibility of future grandchildren to visit and stay for a spell. The house has received a complete interior gut- we opened up the foyer ceiling from 8 feet high to 16 + feet high, added a new first floor master suite, a gourmet kitchen which opens up to informal dining and living space that is all flanked by a 25 foot wide x 15 foot deep rear deck and a 15 x 15 screened porch that overlooks a sanctuary of trees. We also added a guest powder room & walk-in pantry for the first floor + extended the existing shallow front porch to allow for early evening gatherings with neighbors and friends alike. 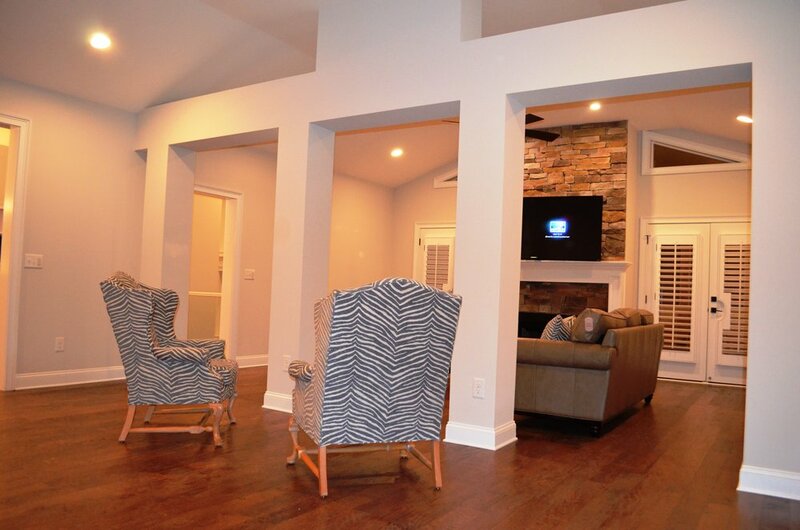 On the home's terrace level we renovated the existing basement and bathroom and added a 3 car garage. 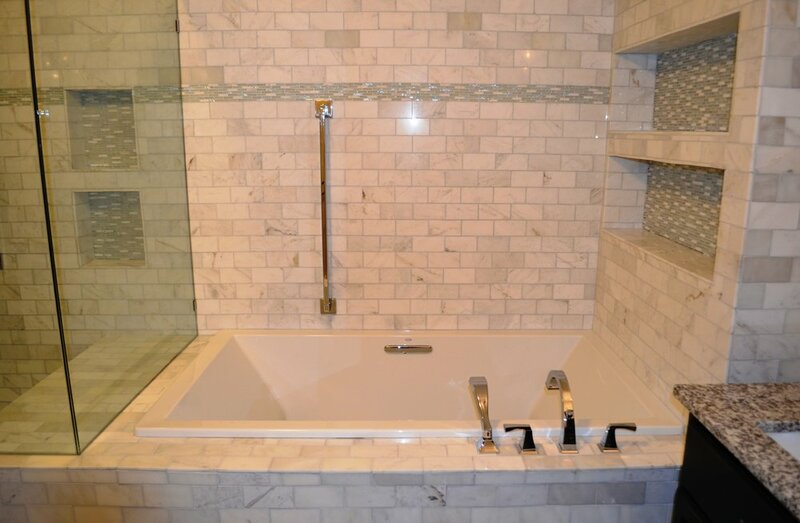 The top floor was updated with a simple reconfiguration of bedroom closets and bathroom fixture and tile upgrades. Cheers to the sweetest house in Forest Hills! When three siblings decided to build their dream home it was not an endeavor they were taking lightly - no matter how lighthearted they are. 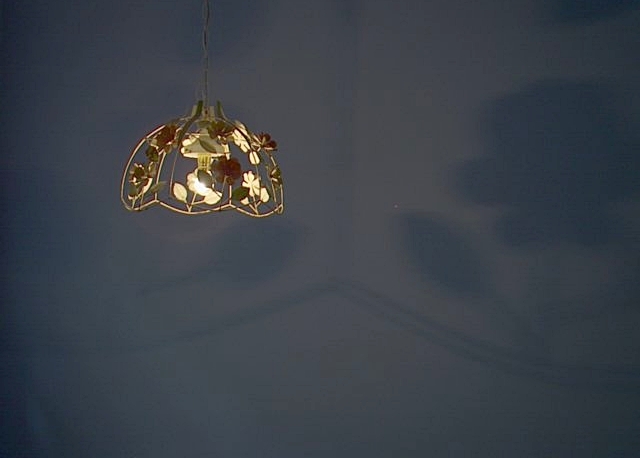 Being a big fan of mid-century modern homes, Maggie proposed a mid-century modern inspired design. One of the siblings had studied architecture and loved the idea versus going with a more craftsman ranch - the direction they initially wanted to go. The result is a spacious, flowing, light filled design that blends in beautifully with the neighborhood's 1950's low slung ranch style houses. One would never know from the home's front elevation that inside you will find: three master suites, four fireplaces, a gourmet kitchen, sun room, screened-in porch + rear deck that expands the entire width of the house, an elevator and a three car garage. Although they love to travel, these three may have a hard time leaving the house when construction is completed. 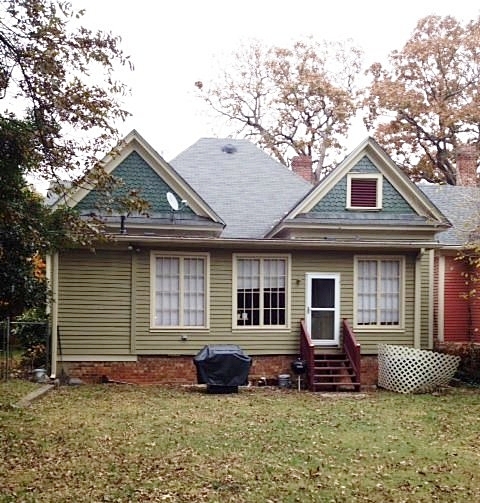 In the heart of Atlanta's Buckhead neighborhood a beautiful colonial home sat in desperate need of a gentle kiss of love. 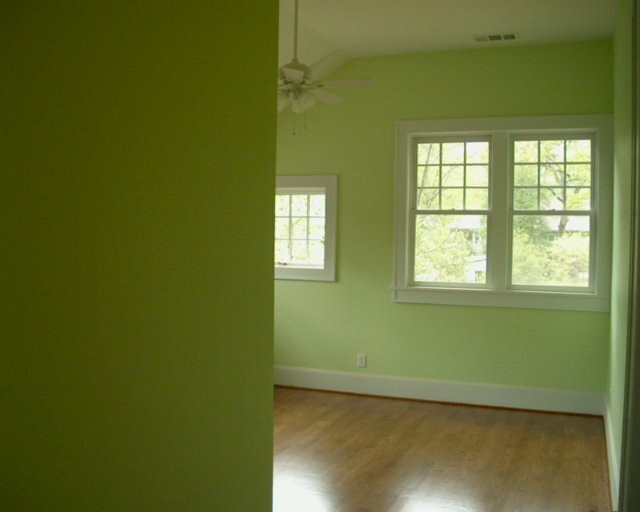 So with that in mind, our studio took a look at the beautiful bones of this home and its historic style and fell in love with it ; and sought to seamlessly match the request for a very small yet very impactful side sun-room addition, plus a renovated 2 level guest suite with its innate features. So, through shape, material selection and proportion this was achieved. 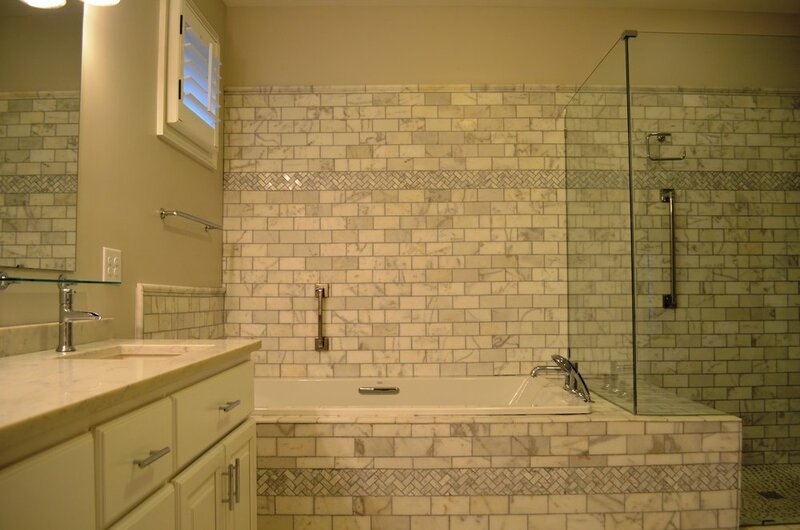 Tasked with transforming a two bedroom, one bath cottage with great bones in to a four bedroom, three bath home with an office while not expanding the homes footprint was a unique design challenge. But that is exactly the type of project our studio lives for designing. 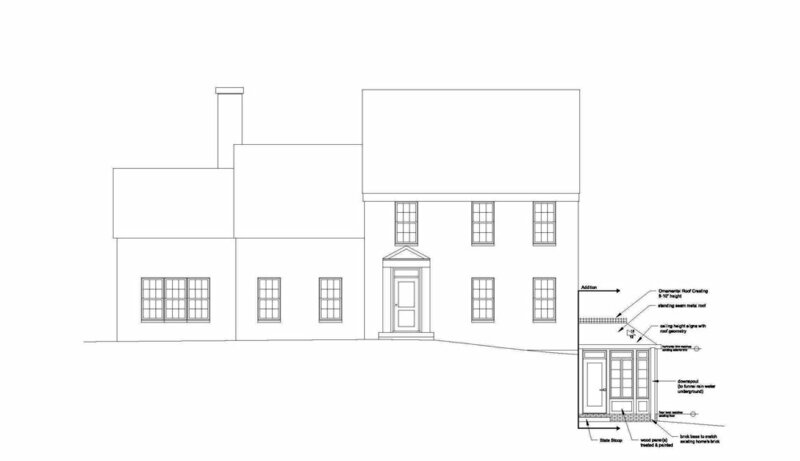 This is the quintessential renovation and addition project. 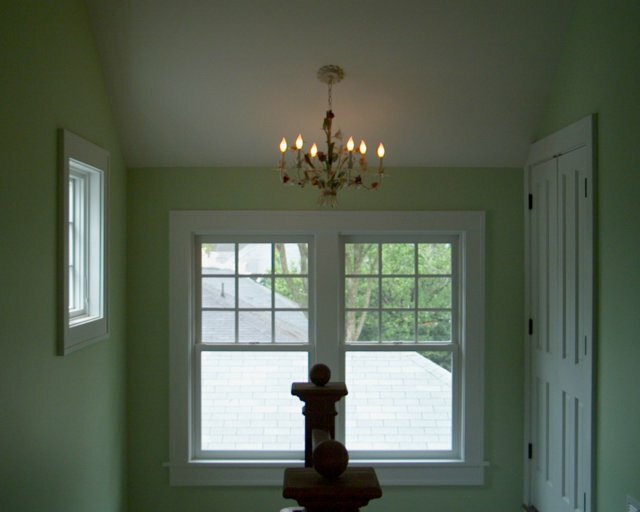 Every aspect of the home was renewed, redesigned or rebuilt. 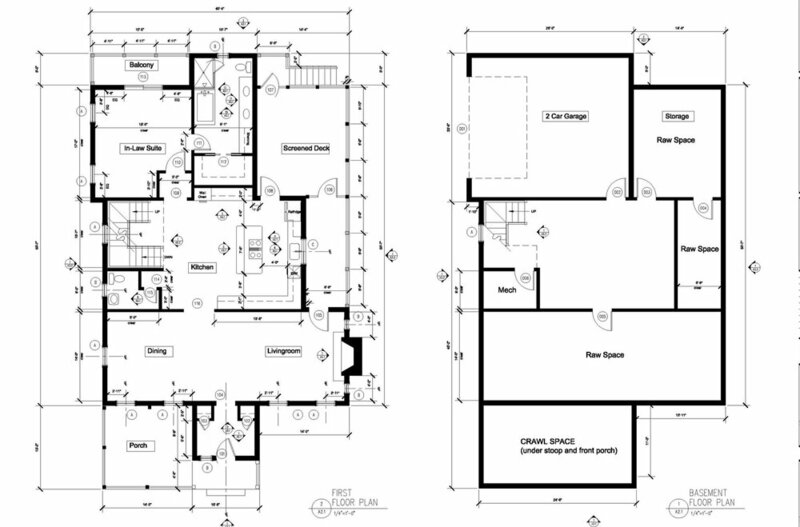 The main level floor plan was re-imagined with features including a re-designed kitchen, a new deck + screened in porch. 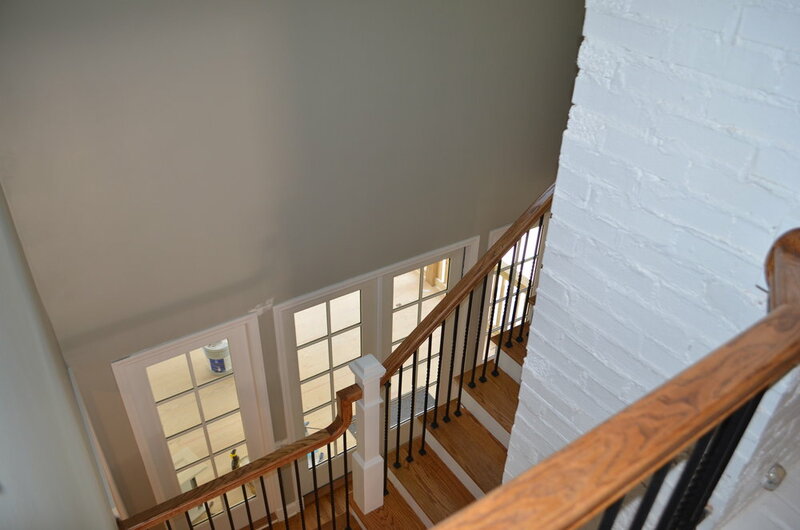 Since a second story was to be added and with space at a premium, it was decided to wrap the stairs around the existing chimney, thus creating an open two story staircase that breathes light and an open feel to the whole house. This is one of my all time favorite projects. 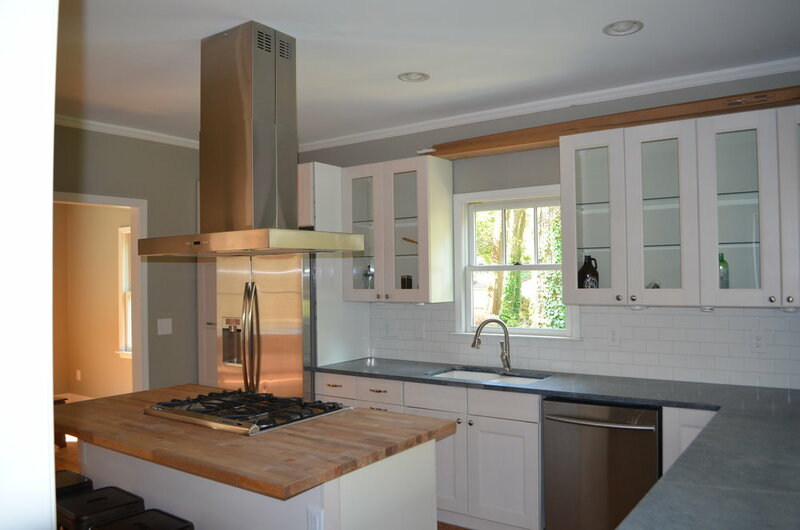 The family has owned and lived in this house for over 50 years, and now the time has come for them to renovate and to add to their home's original form in order to adapt to the family's evolving needs. The house's renovation and addition will now accommodate 3 generations, and each generation will need their "own space" - yet there still needs to be a place to congregate together i.e. 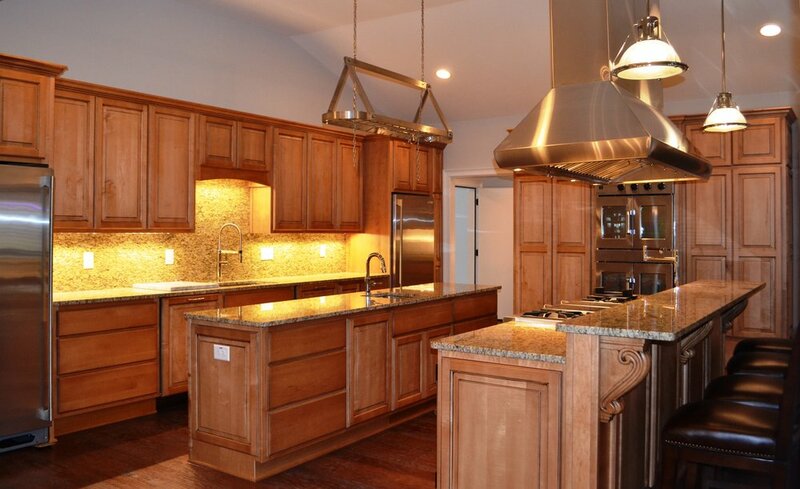 : The Central Kitchen. With this in mind we programmed the house to work with these needs: the original front room and bedrooms stays immaculately similar to the original and is there for The Grandmother to enjoy + a new front porch with her original porch swing. The back area is for another family member and the new upstairs addition houses a Master suite, plus a bedroom and a sitting area for the Grandmother's son, daughter in-law and grandson to enjoy in private. 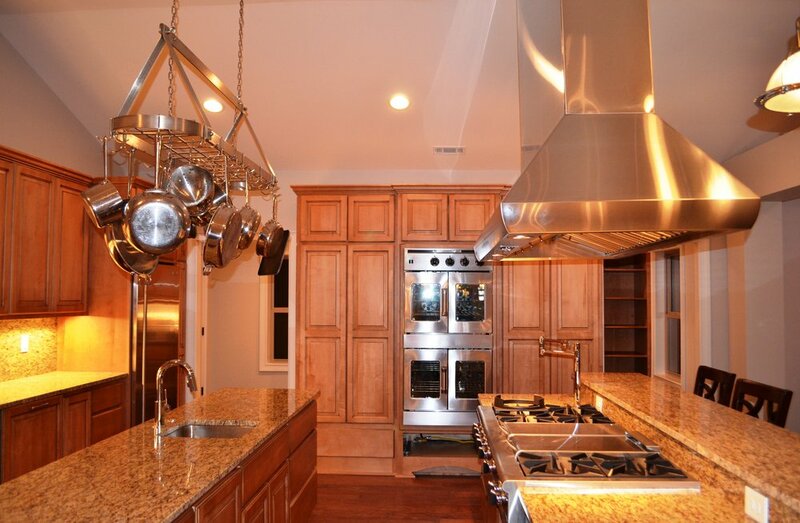 Yet, if anyone wants to enjoy each others company they can easily do so in their new centralized kitchen with a big farm table in the center for sharing cooking and meals together. 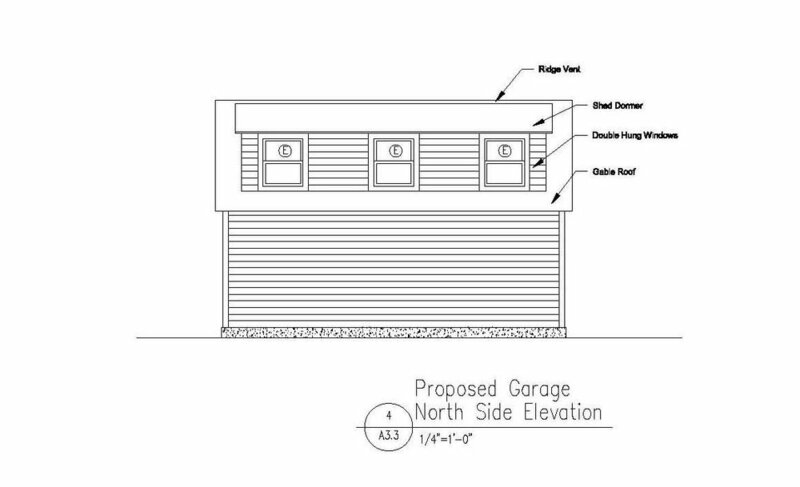 The lot will also feature a new 2 car garage/workshop. The transformation is amazing, and we hope it will bring another 50 years of wonderful memories. Now with the children growing up and wanting their independence (aka: their own space) and the parents too, this beautiful historic home was immaculately redesigned and transformed from a one floor living space to expanding into the high gabled attic to create a livable 2nd Floor that is composed of spaces for gathering and relaxation: reading nooks & lounge areas + privacy for their children: their own bedroom + a shared laundry and bathroom. 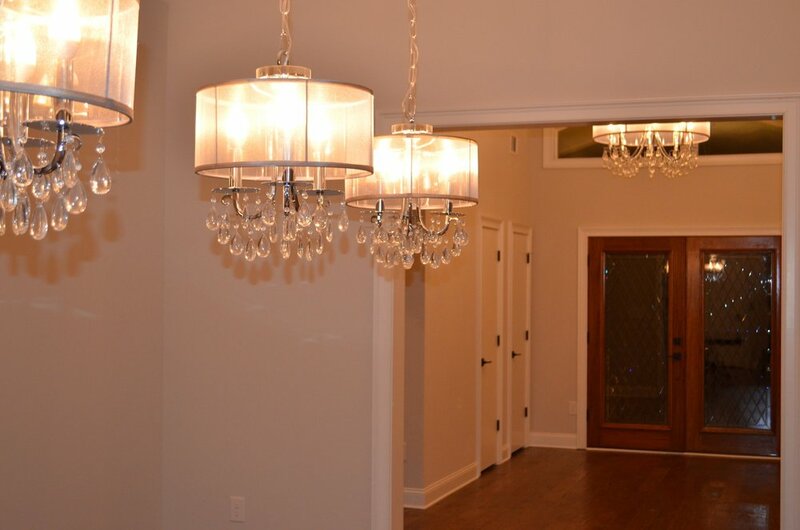 The downstairs received quite a makeover too- the kitchen was gutted and opened up to view easily circulated through and have an easy view to the dining area and back yard, a master suite was created and a rear screened-in porch was added. 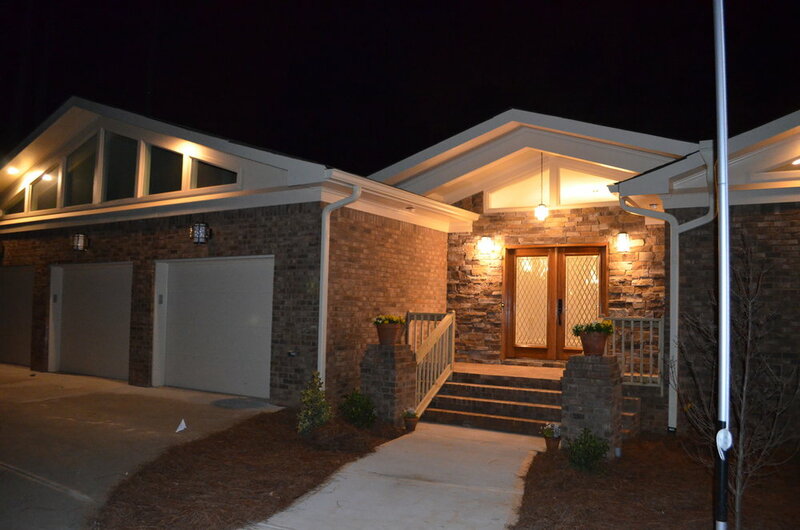 Our studio worked hand and hand with both developer and builder to create the perfect house for Atlanta's in-town neighborhood, Ormewood Park. The original home to the site was in such disrepair that it was necessary to demolish, thus making room for this 2 story + full basement custom home, which boasts enough raw space downstairs for both an ample 2 car garage and to create an Au-Pair suite and/or media room. Both the main floor and 2nd floor have balconies that grace both the front, side and rear of the house. The main floor has a beautiful in-law suite with a private balcony, gourmet kitchen- with custom cabinets that reach to the ceiling plus access to a screened-in deck, a powder-room and a front dining-room that is open to both a front porch that is covered with a garden trellis and a large living-room with a gas fire place. The second floor houses the master-suite, a central sitting-media-homework area that has easy access to an expansive deck, Jack and Jill bedrooms and a laundry room. Whomever purchases this home will not be disappointed. Plenty of space mixed with charm = you cannot go wrong. 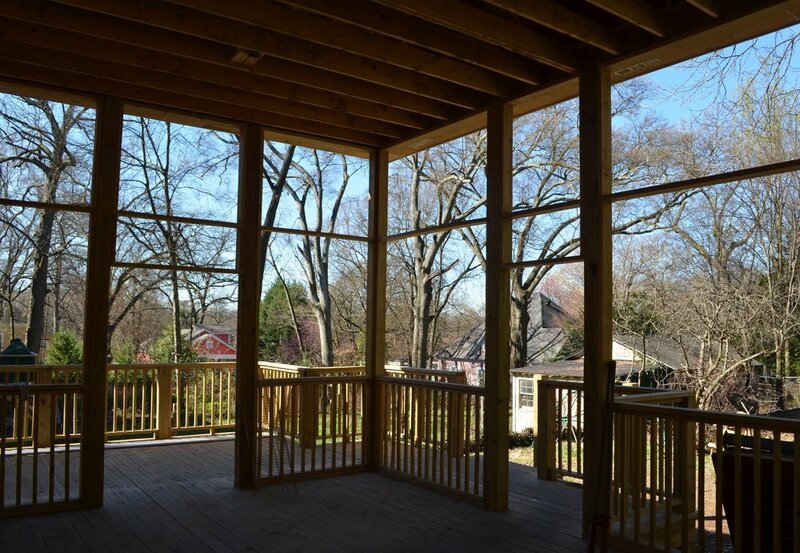 A deck and screened-in porch addition for a home in the Atlanta neighborhood, Morningside. 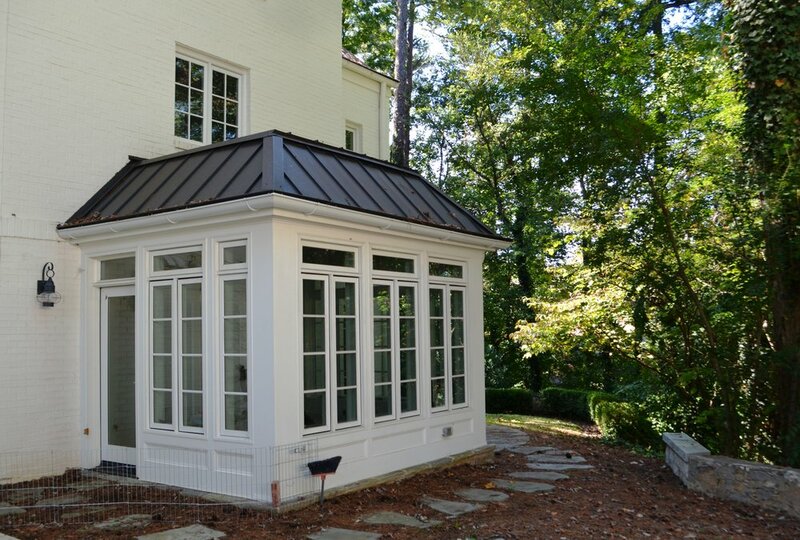 the design motif plays off of the existing home’s gable geometry and window grids, making for a seamless addition that looks like it was apart of the original home. Morningside Birthday Parties & Ping Pong…. A young couple with 2 young children wanted desperately to replace the "keebler elf" style rear deck and stairs with a new screened-in porch and side deck that mirrored both the home's classic aesthetics and the husband's desire to play outdoor ping pong with his buddies. 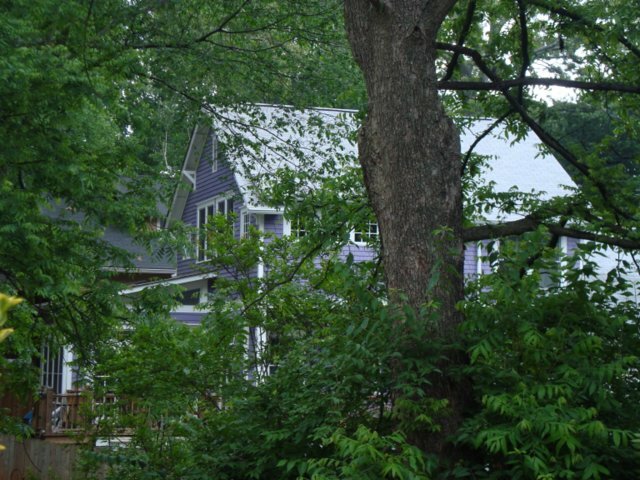 And among the list of desires, was also to keep the beautiful shade tree- by working it into the deck design. It was a small project, but fun. Like many Grant Park residents who bought their homes before having children, these clients quickly found themselves short on space once they went from a family of 2 to 3 to 4. 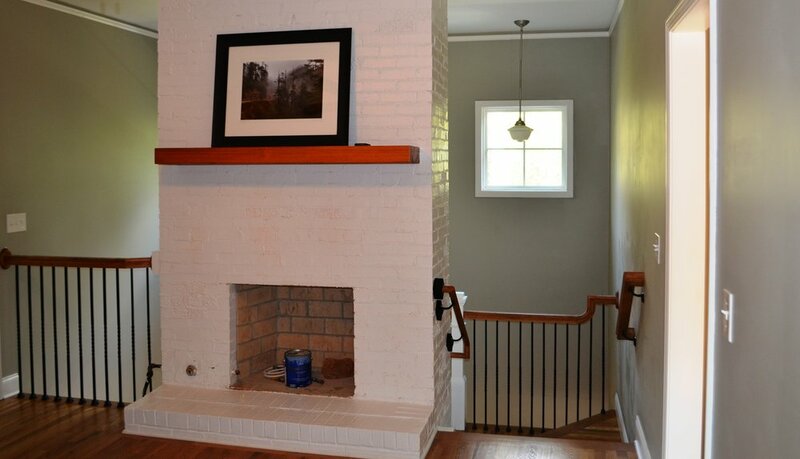 The remedy was to go back, up and down; adding 2700 square feet in living space. The second story with two big bedrooms each with a row of classic dormer windows, a full bath to share and a laundry room makes for a sanctuary full of character. The main level with the staircase, clever breezeway connecting the kitchen to the back deck, family room, sunroom and office with a half bath is integrated so well with the existing structure that question is often asked if the house was always like this or if they added on. 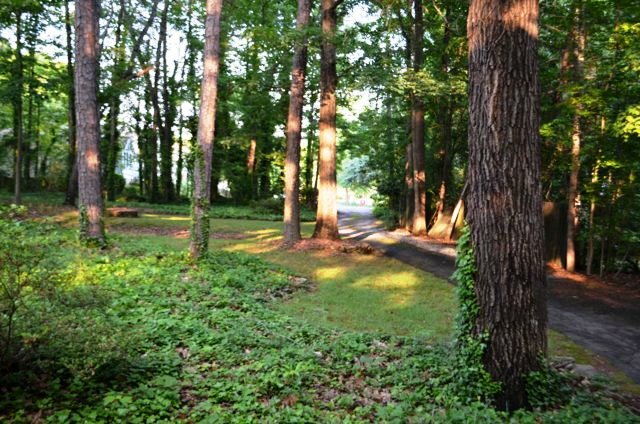 Finally, living in town, you know that full basements are about as hard to come by as a number for the Peachtree Road Race. Dad was determined that his house was to have one. 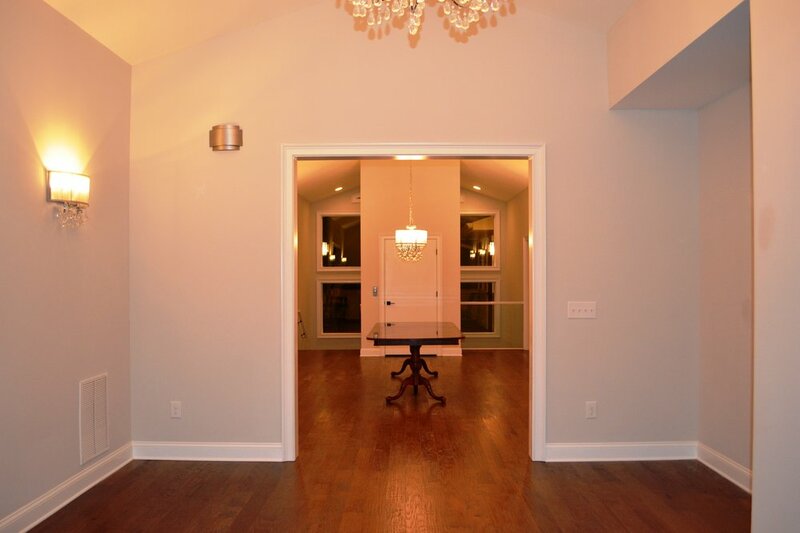 Accessed either through the main interior staircase or via an exterior “hobbit door”; this finished space ensures that poker night isn’t going anywhere. 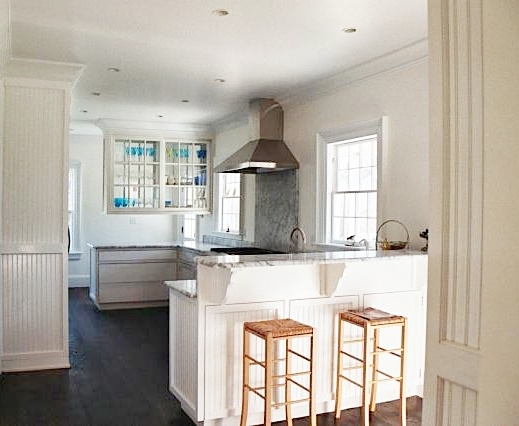 This elegant, mansard roofed Cape Cod summer home had, some years ago, been turned in to a duplex. 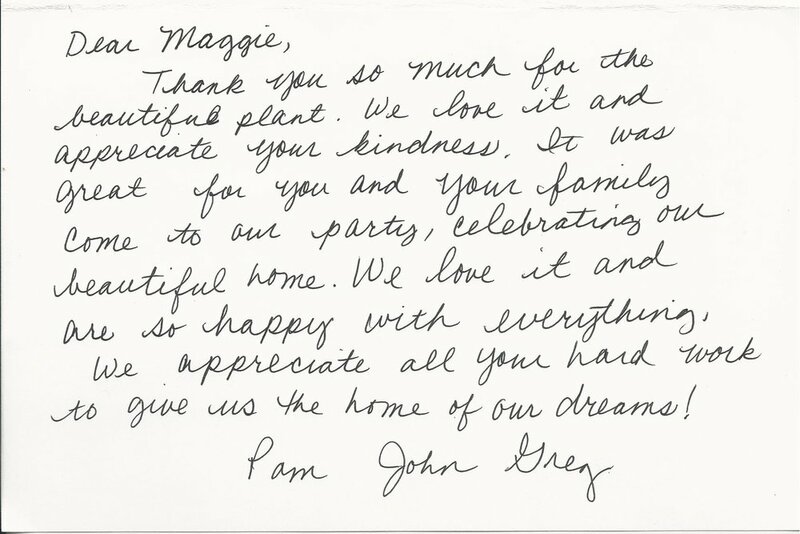 Lucky for it, the new owners were out to right the wrong and in doing so worked with Maggie to make it a place to last for generations to come. 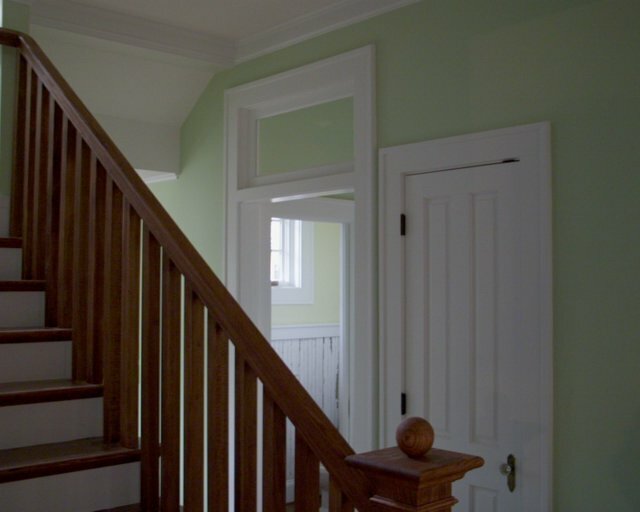 Sneaking a half bath under the stairs, adding transoms, creating a gorgeous kitchen and allowing for better circulation in and out of the house has turned what was a forgotten about investment property in to the pride of Pleasant Street. 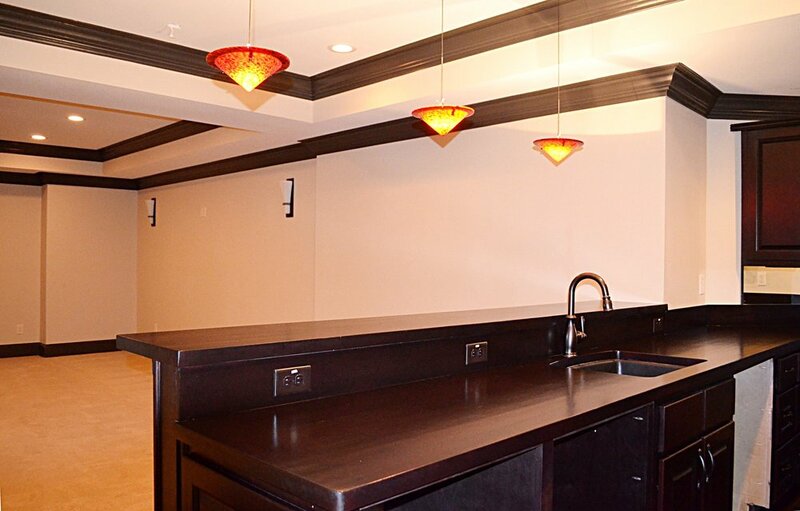 A raw and unused basement mixed with the growing needs of a family of four put forth in motion the inspiration for the space to be something more. Each family member had their own needs, particularly the parents. 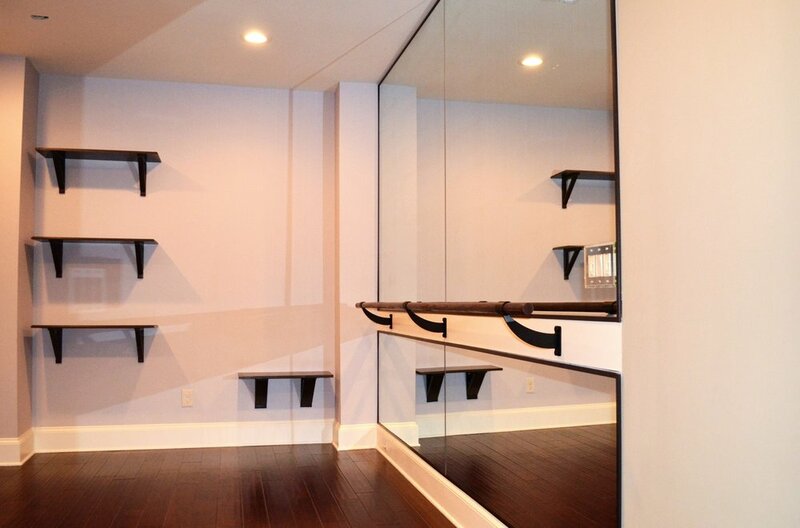 The husband needed his office, the wife needed her work out and ballet studio with a private full bathroom and both the husband and wife wanted a "Pub" type bar to enjoy with their friends. The whole family wanted a Theater room. Our studio went to work and we took the unfinished raw concrete floors and walls, and turned the space into a mecca of entertainment for not just the family of four, but for entertaining their friends too. 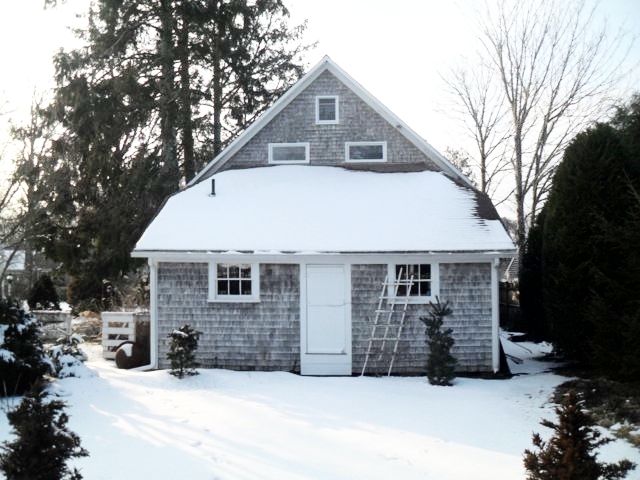 This Cape Cod barn has been many things since it was originally built in the 1800s, most recently an antiques shop. However, one thing it has never been is a relaxing retreat. With future visions of grandchildren, the owners of this property want to give their girls the run of the big house while they happily sequester themselves a few steps away. To maximize light, the entry will open up to the second floor. And the structure will be extended to accommodate a spacious upper level master suite. 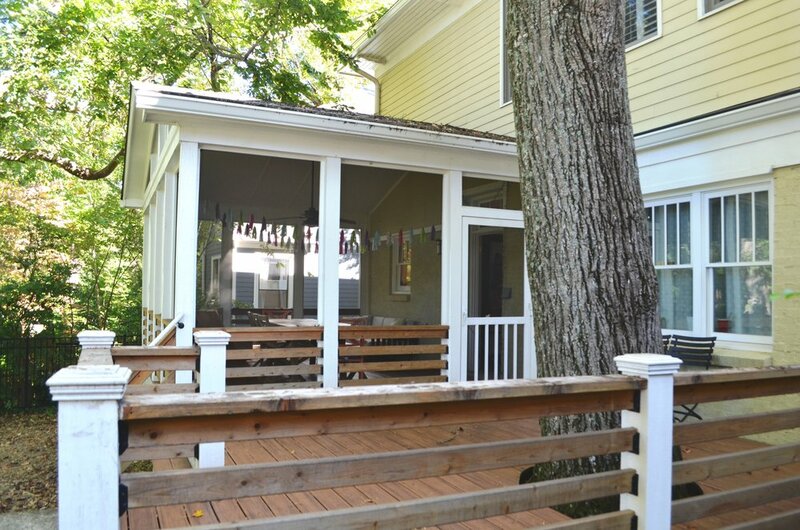 On the main level, French doors open to a screen porch and around back there is an outdoor shower. A builder-developer came to our studio asking for a house to be designed for the Decatur, Georgia Neighborhood, Oakhurst. We put together our heads to create a design that would not just sell but would also blend with the historic neighborhood. In the end we accomplished a very classic-craftsman style house of clapboard siding, surround porches and plenty of space for a family to grow and a guest to visit. The house's 1st floor is composed of an Au-pair-Guest Suite, a formal living room with fireplace, a powder-room, a dining room, a kitchen and a rear breakfast-den area. 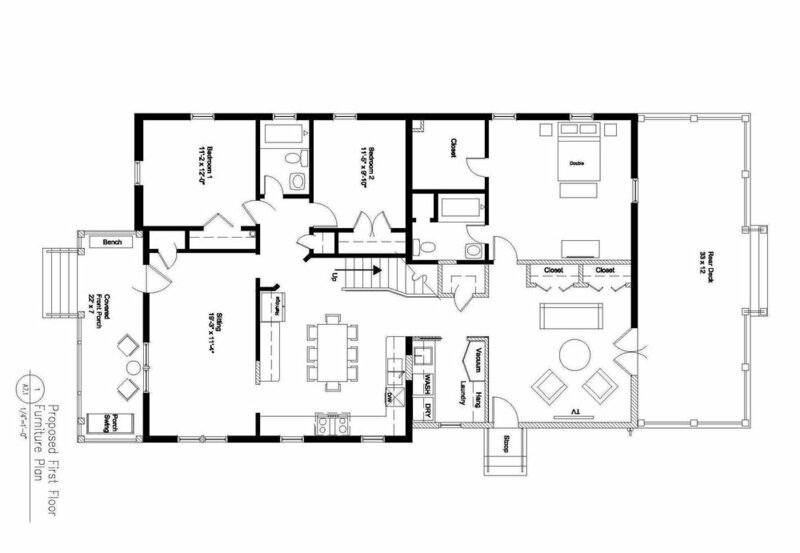 The 2nd floor boasts a master suite and a Jack and Jill bedroom layout + laundry room. 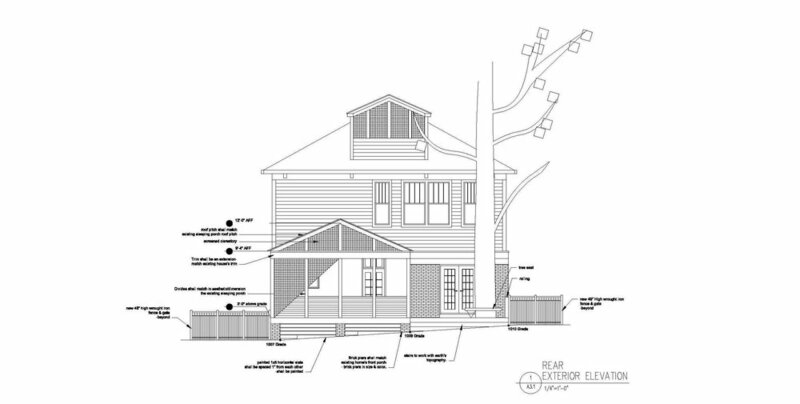 Complementing the entire house is a double story front porch and rear deck- all spanning the entire width of the house, plus a two car garage- with enough height to accommodate a 2nd floor future office. The house sold in less than 2 days. 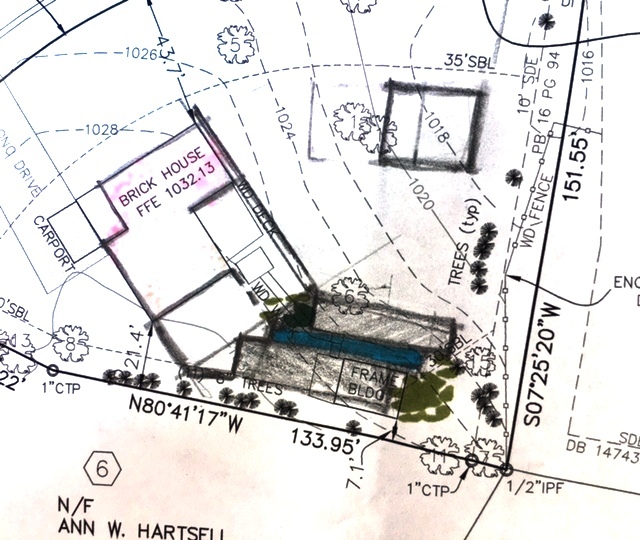 The challenge of this project was not just trying to make a typically utilitarian purposed form into a piece that is aesthetically pleasing and works seamlessly with its surroundings: lots of land, woods, and an existing one story home- but the topography. 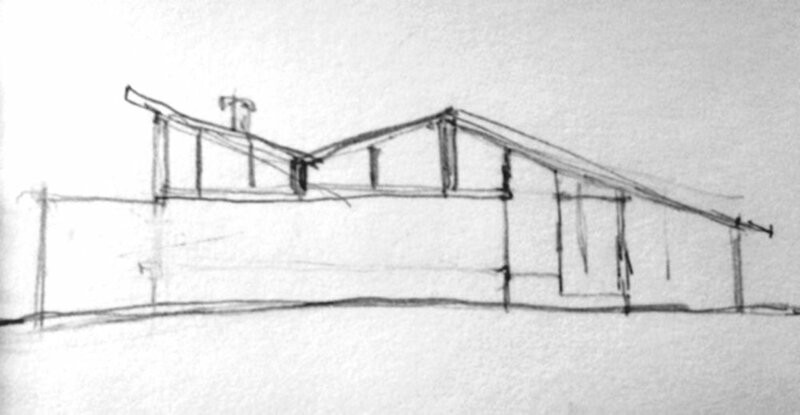 The land swooned up and down like long deep waves- so positioning the 3 car garage + workshop - so it could frame the existing structure and work easily with the existing land was important. We succeeded. Our Client: "Will you please make this house better? I want to move into it and raise a family." Our Studio: "Yes, we can!"